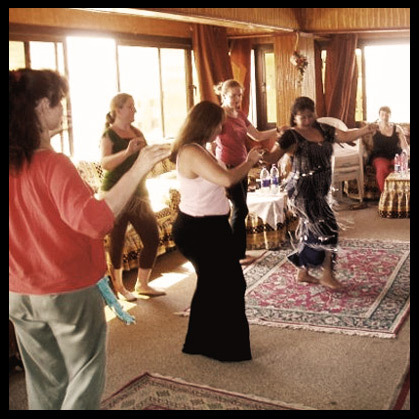 Guided by Sahra Kent, an expert on Egyptian dance & folklore, you will not only experience the Egypt that is presented to most people, a land of sand and ancient wonders, but also as a land with real people struggling to preserve their dance heritage. 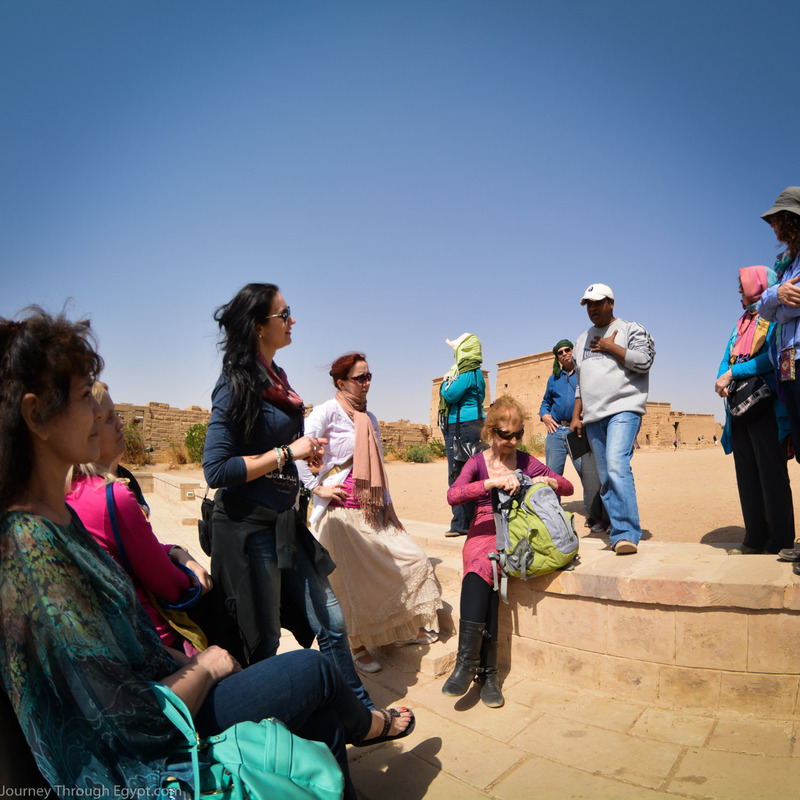 Visiting multiple Egyptian cities, JtE 3 & 4 strives to present the concepts and tables explored in JtE 1 & 2 whenever possible, putting that knowledge into practice and context. ​Explore one of the birthplaces of our dance form through cultural interviews, live music, dancing, historical walks, and cultural experiences. Sign up below to be notified if any spots open up for this tour or to be notified about our next tour! Please note this trailer, while indicative of our general experience, does show scenes from Abu Simbal, a portion of the tour no longer offered. Nothing can top dancing to live music in Egypt...It was also a joy to meet Farida Fahmy and to visit Mohammed Ali street. But just being in Egypt with Sahra, who is a wealth of knowledge and experience and generosity, made the trip an experience I'll never forget. I couldn't begin to plan a trip like this on my own and hope to learn as much as I did. JtE 3 & 4 are educational explorations of Cairo & Luxor/Aswan respectively. During our time in Egypt we explore the history and culture of the places we visit in the context of Egyptian dance and what they represent & have represented through the years. In keeping with JtE 1 & 2, levels 3 & 4 are highly educational and show a lot of the things learned in levels 1 & 2 in context. This is the trip of a lifetime and the one you've been dreaming about since you first became interested in this art form. 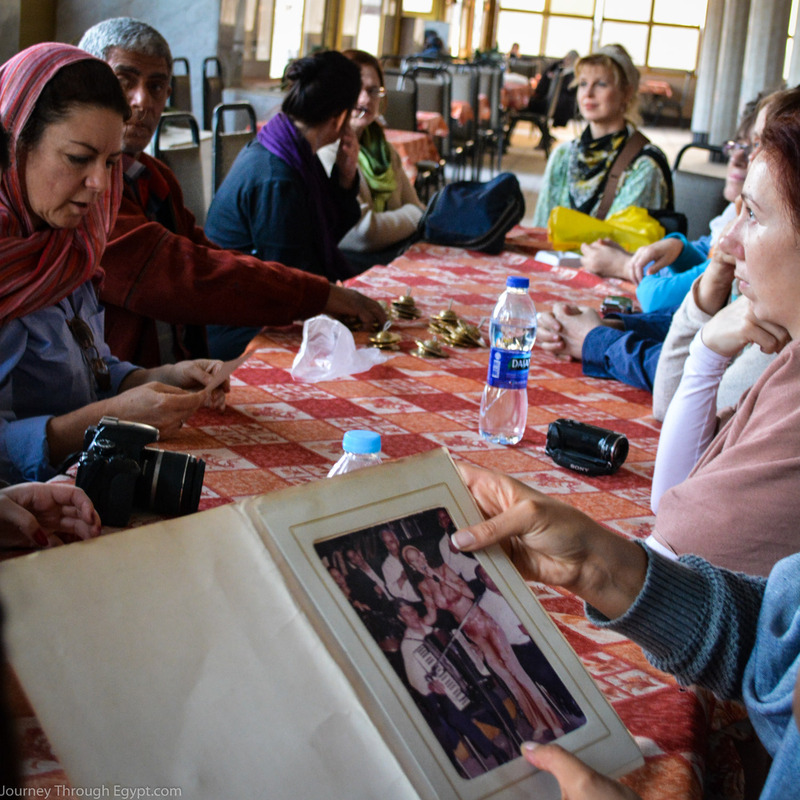 Drawing on Sahra's 30 years of research in the field, you will directly meet, and interview some of her own contacts in Egypt and benefit from her myriad of connections and insights. 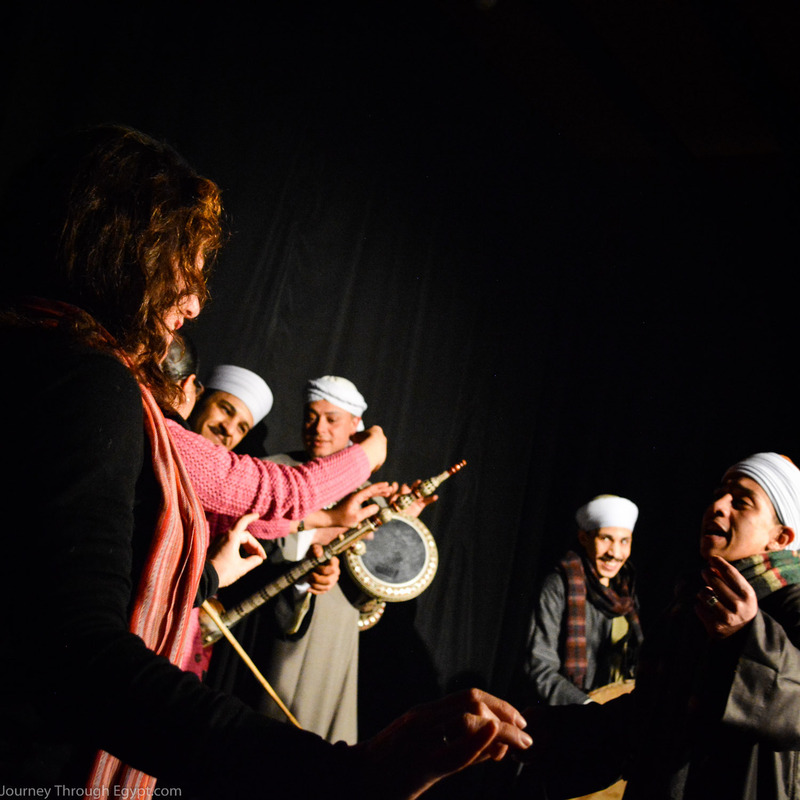 Seeing Egypt through Sahra's eyes will give you a deeper understanding of the dance. The same one that you got a glimpse of in JtE 1 & 2. 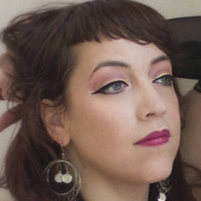 ​The lived experience, knowledge, movements, and unique approach of JTE have made me a better and more discerning dance performer, student, researcher, and teacher. I'm doing a better job at serving the various communities this dance is a part of, and that means the world to me. I'm doing a better job honoring the dances, people, and cultures, this dance is a part of and, inshallah, because of that, dancing more beauty into the world. 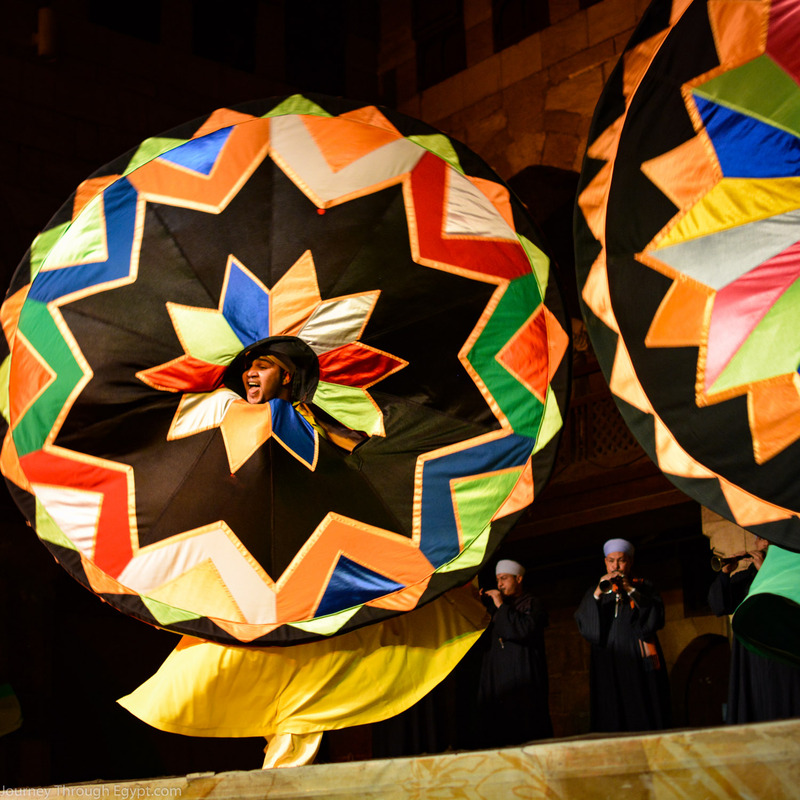 With the bright colors of the Tannoura spinning before your eyes, the beat of the Zar drums mere feet away from you, and the cultural immersion of folkloric dance, you'll be transported and changed. How can you not understand the Zar a little better once you've heard the music, so close and heartfelt? How can you not marvel at the skill of the dancers as they spin endlessly upon the stage? Feel the joy as musicians join together to share their heritage! Live Tannoura shows dazzle the eyes with flying colors! Always a favorite of JtE-3. One of Jte-3 attendees is invited up to dance at a special music event held at the Dammah theater. JtE 3 attendees pose for a photo with our wonderful musicians after finishing up our Live Music dancing event! In addition to the live music events we attend, we will also have several members of Sahra's old band join back together to play live music for us while we dance the afternoon away. 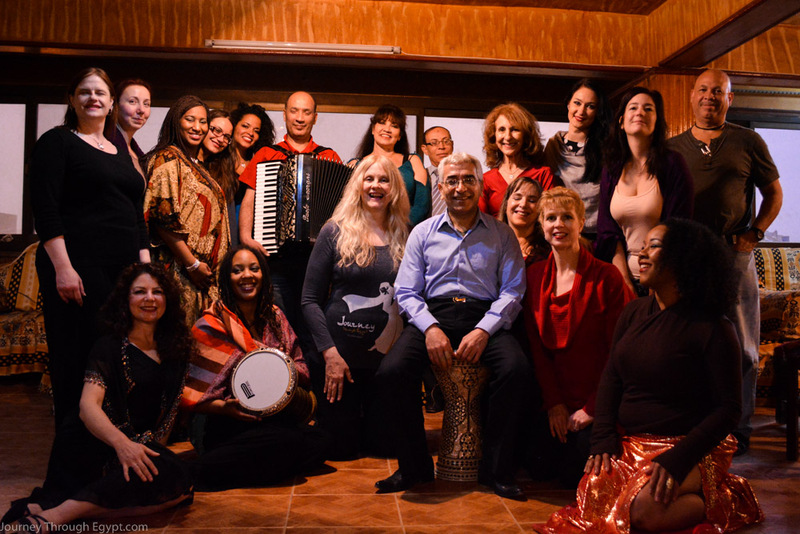 Get the experience of dancing to live music in Egypt as you channel your passion for the dance into your movements and get carried away by the sound. During our time in Cairo we will spend several evenings conducting dance ethnology interviews. Pictured left is an interview in 2015 with Sayid Henkesh as we investigated some of the photos he brought to show us. On a couple of the afternoons we will visit several of Cairo's museums, including the Agricultural museum, which you may remember from JtE 1 & 2 as the one with the wax figures, a museum of a museum, as it were. We will also visit the museum that is dedicated to the life and career of Egypt's most beloved singer, Om Kulsum. JtE-3 is a magical exploration of the capital of Egypt and a place where you can see the meshing of the folkloric and the glitter that is Egypt's Hollywood. ​We pack all of the above into 8 days of history, music, dancing and learning. Eight amazing, exhausting, exhilarating days that you'll never forget. April 2019 is sold out! You can stop after JtE-3, head back home and digest all that you've seen and learned on your journey. Or, you could stick around for 11 more days, make the most of that plane ticket, and learn more than you could've ever dreamed. Most of our attendees choose to take both levels back to back, but if you're returning home after JtE-3 you'll leave us on the 16th of April. Those continuing on will take a sleeper train that night to Luxor, where the next journey begins. If you are only attending JtE-4, you should time your flight to arrive in Luxor on the 17th. We will have someone pick you up at the airport. 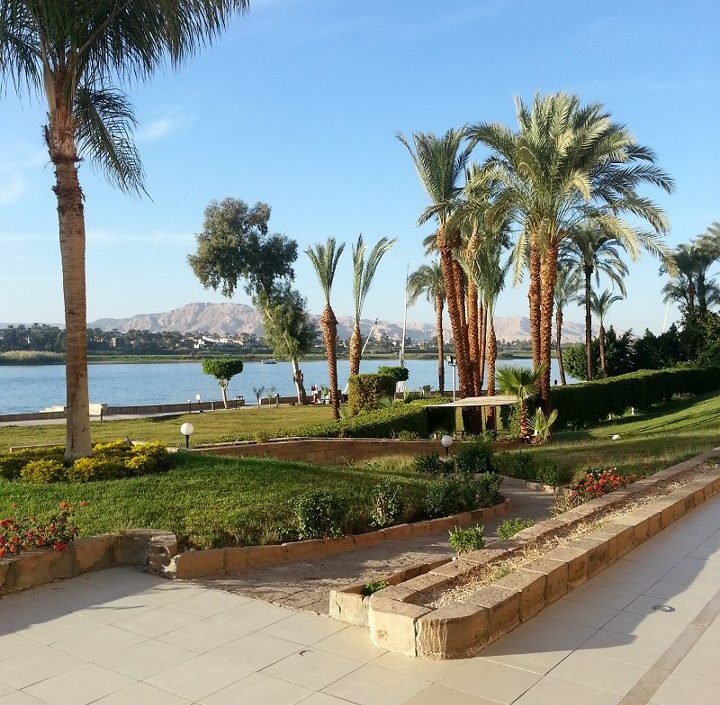 After the business of Cairo, our hotel in Luxor, Geizeira Gardens, will provide some peace and quiet. This is Sahra's favorite place to stay while doing her research, soothing the mind and soul and providing a recharge as we ramp up into the next phase of the journey. With an amazing open space, and connections to many of the local musicians, it's a place to rest, to learn, and to dance! 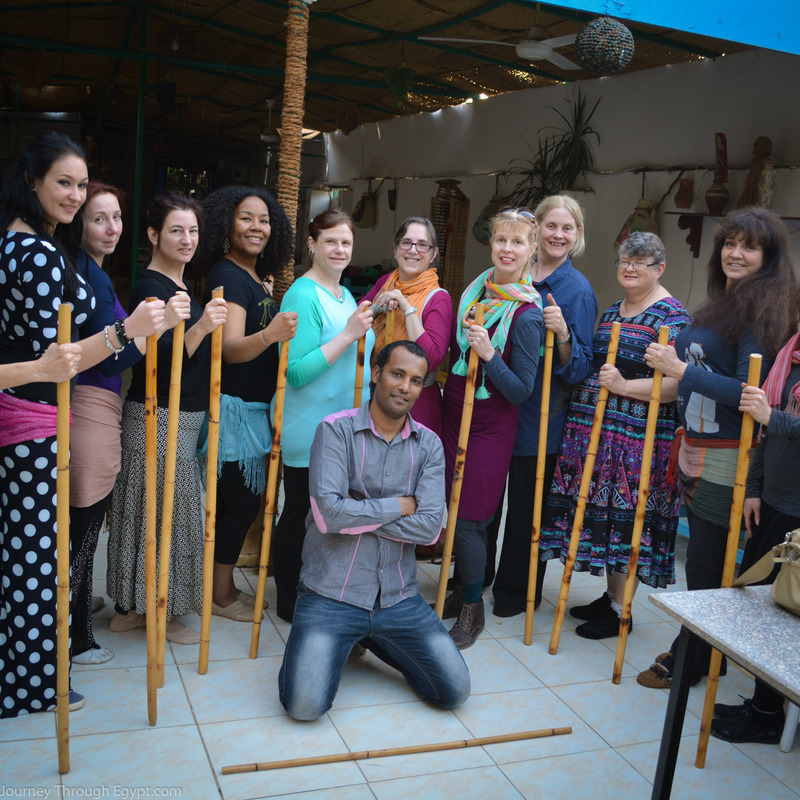 In Luxor, we have the good fortune of learning from practitioners from many of the different tables. The last performing Mazin sister, Khyriya will teach us the steps traditional to her family of Ghawazee. 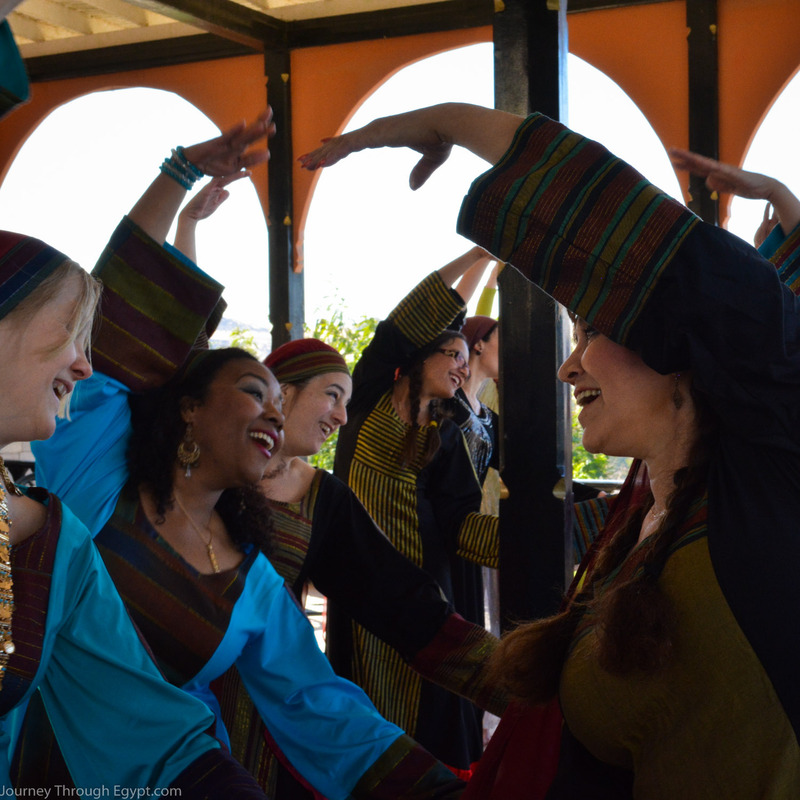 A member of the local governate group will teach us the art of the Assaya, and a local professional will teach us the traditional Sa'idi Khafafa dance. It wouldn't be a trip to Luxor without visiting some of the most famous tombs and temples to be found in Egypt. Here we will visit the infamous Valley of the Kings & the Temple of Hatshepsut (pictured below). We will also explore for the hieroglyphs depicting the tahtib and dancing, showing the true age of aspects of our dance. 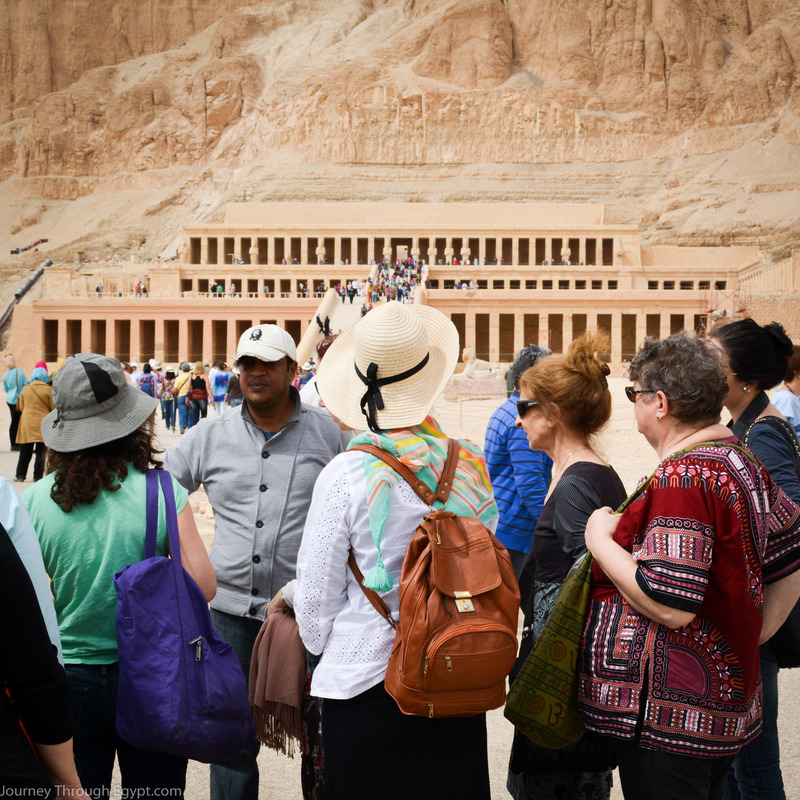 Explore the Valley of the Kings & Hatshepsut temple. 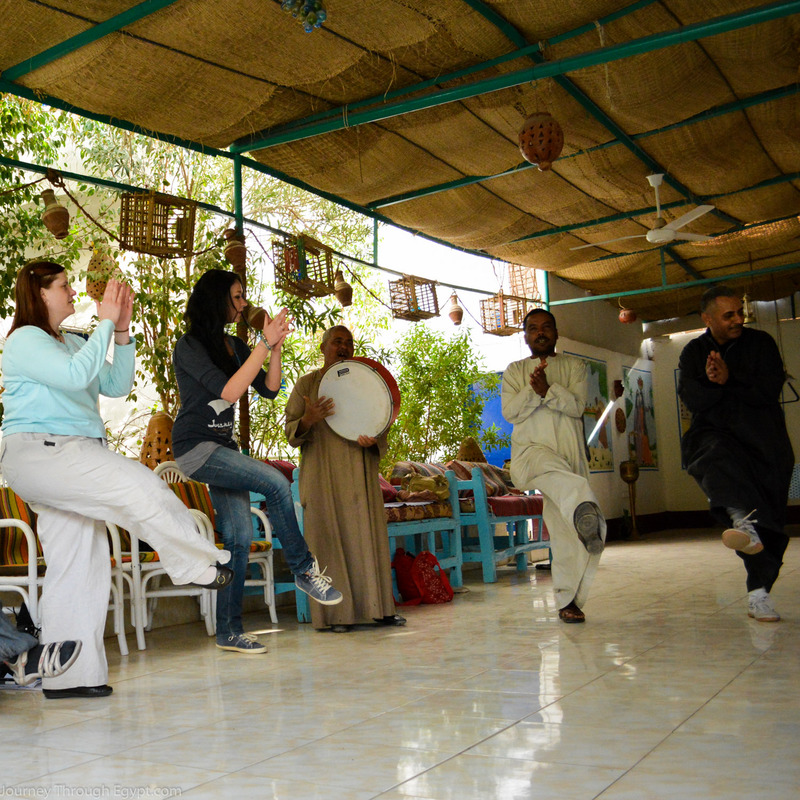 We will also spend our time in Luxor dancing away at a local live music events. Featuring local professionals, some of which you may recognize from our dance lessons, you'll feel what it's like to party Egyptian style. 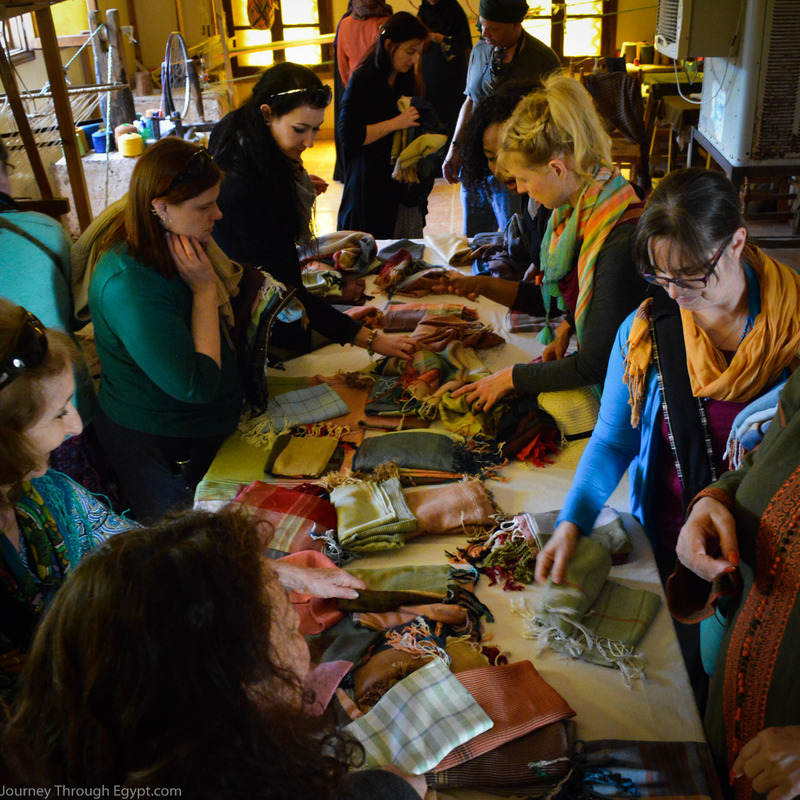 We'll also visit the Nubian House Luxor, a local establishment that helps support women by creating and selling traditional Nubian goods. If you've been following Sahra for a while, it's where our much loved Nubian scarves come from! Your time in Luxor is timed to coincide with the Moulid of Abu Hagag. During this event you'll be able to see Tahtib performed first hand, watch the Dora (the final parade of the Abu Hagag Moulid) and much more. 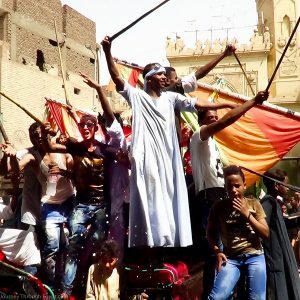 All other events in Luxor are arranged around these festivities to give everyone the best chance of experiencing this amazing cultural event! 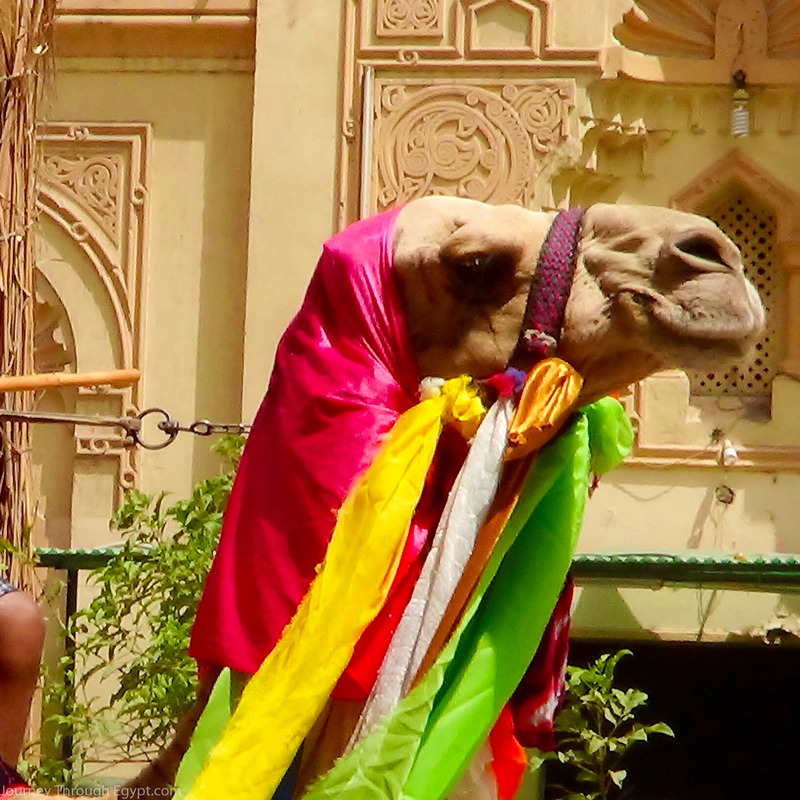 Even the camels dress up for the moulid! 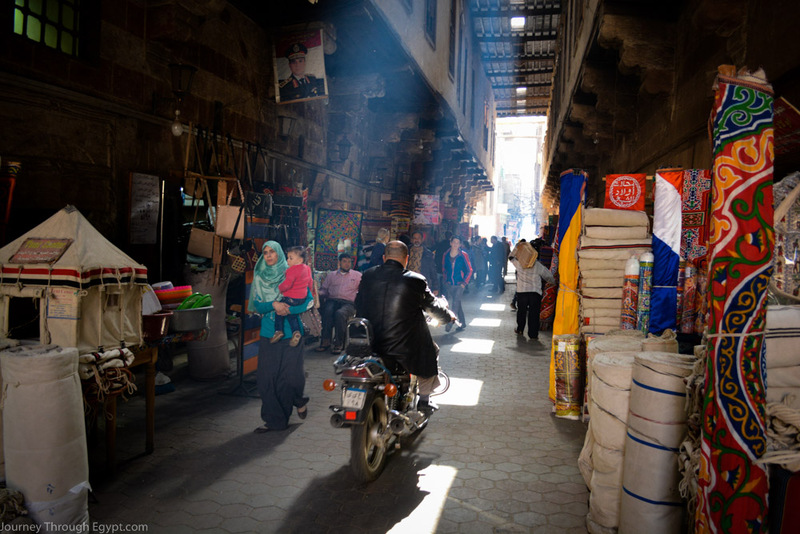 ​Once we've had all the fun we can in Luxor, it's time to head to Aswan. We'll be traveling by bus, but don't worry! The journey is broken up by two stops at famous temples along the way with our favorite tour guide! 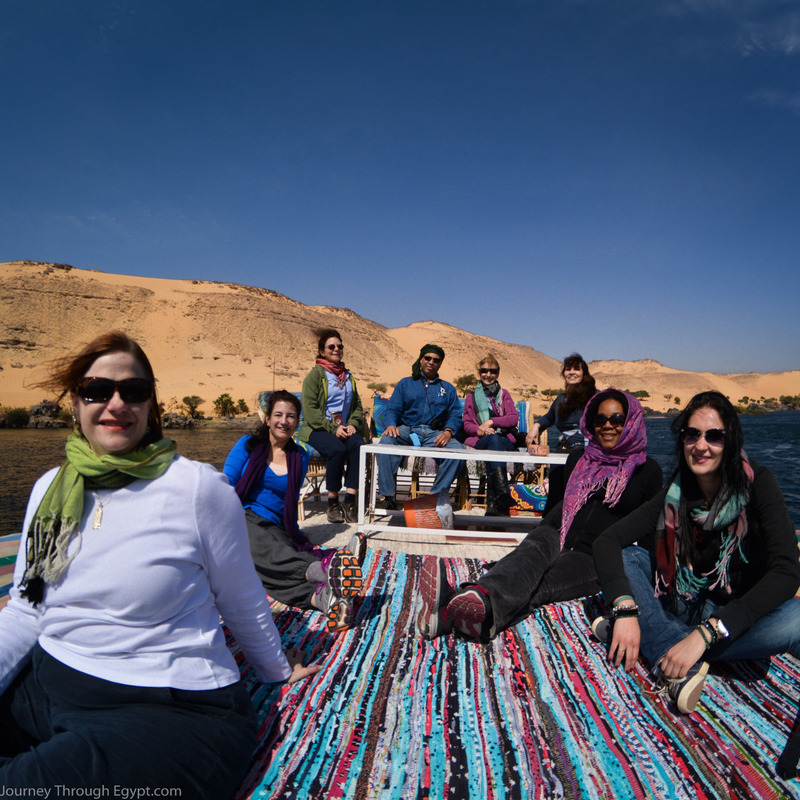 While we are near the Nile in Luxor, in Aswan we use it to travel. Our boatman Karim will take us down the Nile to various events, in moments that you will never forget. Watch the sand dunes give way to the lush grasses of the Nile, visit the Botanical Gardens during one of your free periods, and feel the wind whip through your hair as you travel down one of the world's most famous rivers. Visit Philae Temple, one of the temples moved due to the flooding that would occur when the Aswan High Dam was completed. Now an island in the middle of the reservoir it is beautiful and has quite the interesting story. Look out over Lake Nassar as you stand on the damn that buried the farmland of the Nubians. Heartbreaking it may be, but the resilience of the Nubian people is amazing. I never felt so alive; enjoying cardamon coffee and Nubian dancing on the hilltop overlooking the Nile in Aswan.. sweating and dancing w/ Khariya Mazin and getting to savor her sweet smile and tea.... those rare moments when you just follow your passion and live fully. You could never regret making that plunge. 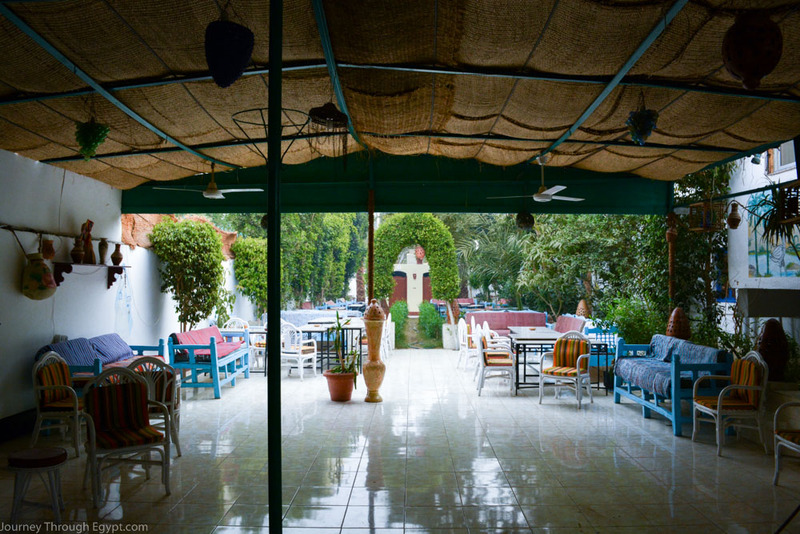 ​While we are in Aswan we immerse ourselves in all things Nubian. We will visit Nubian villages & famillies, attend celebrations with local professionals, and learn a dance choreographed just for us by one of the members of the local governate group. 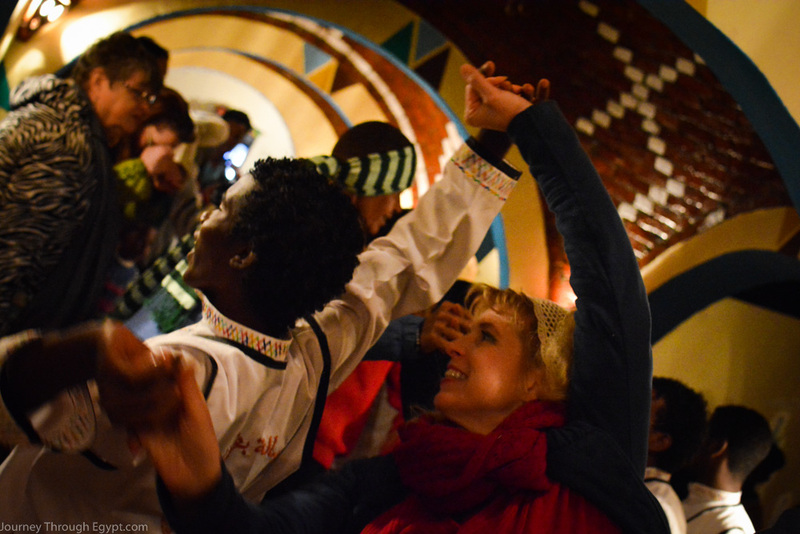 The Nubian people love to dance, and the events we attend are always a blast. Rarely will you find anyone sitting out the festivities! If you wish to have a Nubian dress made for our graduation dance, we will have time to order it during JtE-3 in Cairo. Our time in Egypt comes to an end with one of the most joyful experiences. 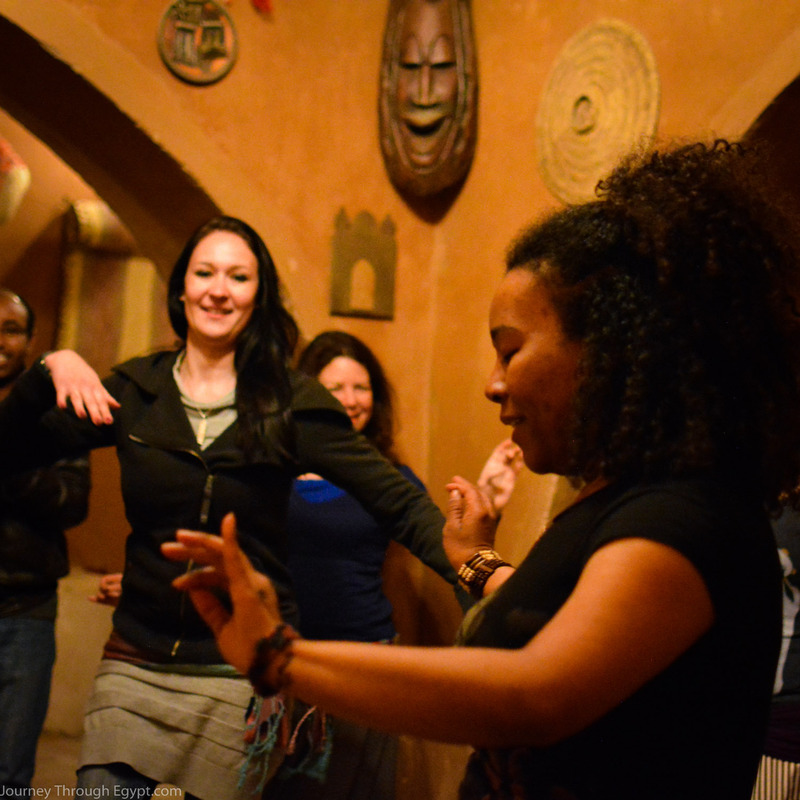 We've spent the past several days immersed in Nubian culture and learning our graduation dance. For our graduation we perform our dance against the backdrop of the Nile. Stomping and clapping and joyfully reliving each moment of our journey. 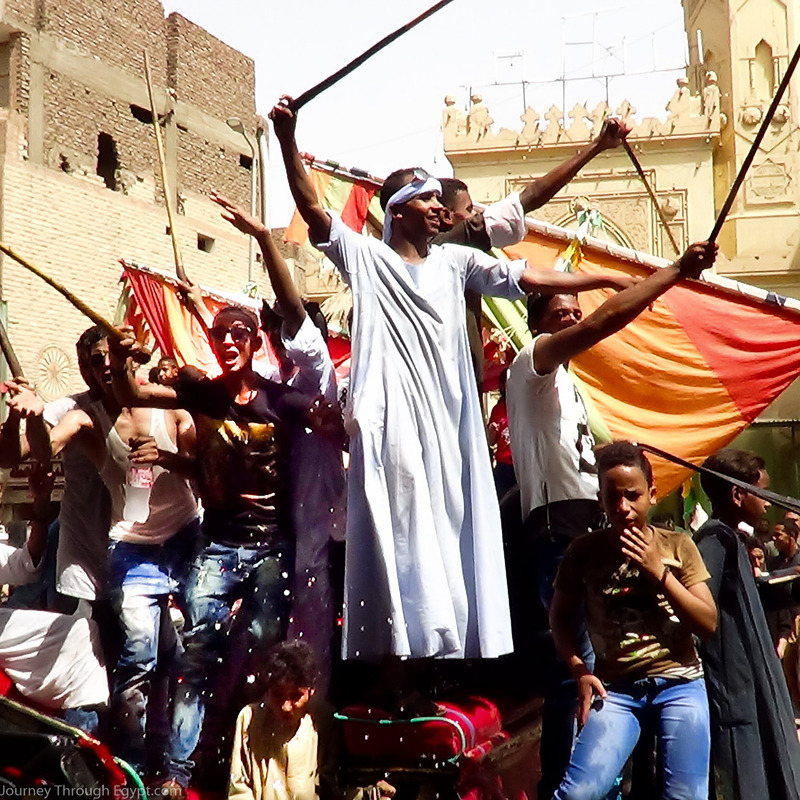 JtE-4 spans 11 days in Luxor and Aswan where there is so much to learn about the Sa'idi and Nubian peoples. Completely different than JtE-3, Upper Egypt has a charm all its own that's sure to have you wishing you could stay longer. JtE-4 is officially over and we return to Cairo via sleeper train, arriving on the morning/afternoon of the 19th. We will check into the Novotel near the airport for our final goodbyes. 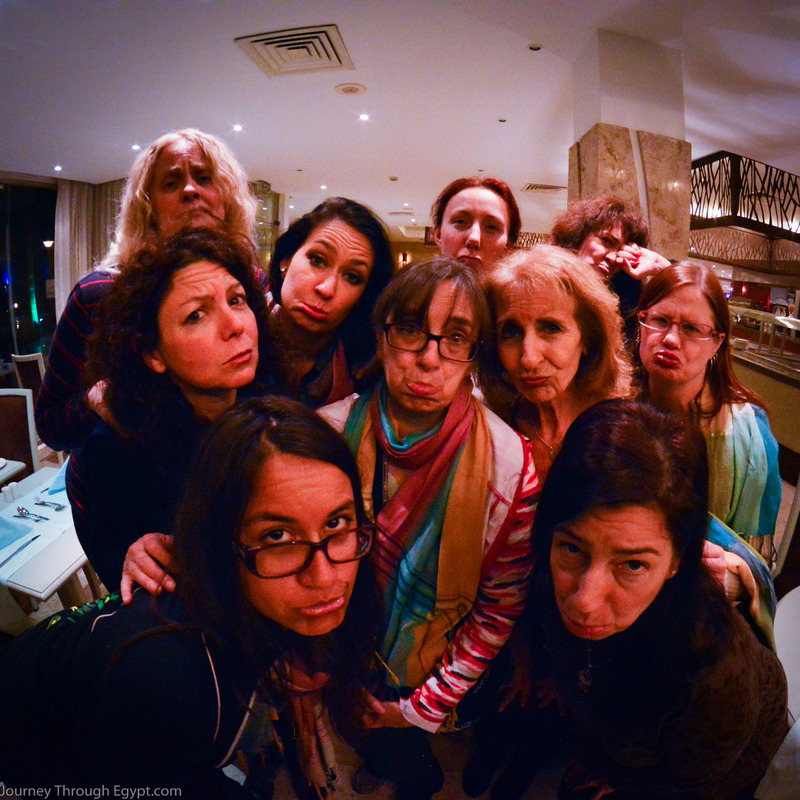 You may have all been strangers 3 weeks ago, but now you'll be sad to see your travel companions go. You'll make lifelong friends and contacts with dancers all over the world. We've had attendees from the USA, Canada, Samoa, Germany, The Czech Republic, Russia, and many more. Expand your knowledge, your understanding, and your cultural appreciation and join us in 2018 for the journey of a lifetime. It is the gold standard if you are interested in the dance and culture of Egypt. I would say that if you take only one workshop or course of study in your dance career, make it this one. 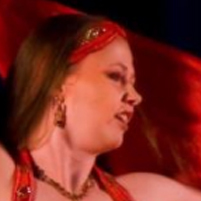 You will learn incomparable things about Egyptian dance and people, past and present. You may choose to attend one or both of the events. Departure JtE-3: If you take only JtE-3 you may book your return flight anytime on from the afternoon of the 16th. At the end of JtE-3 we can either take you to the airport, to the Novotel Cairo Airport (not included in tour pricing) for your last night in Egypt if your flight is leaving early the morning of the 17th, or if you'll be spending more time in Cairo after the end of the tour we're happy to drop you off wherever you'll be staying for the rest of your trip. If you are continuing on to JtE-4, you'll simply stay with the group as we pack and get to the sleeper train that will take us to Luxor. No additional planning is required, it is all covered under the tour. *Arrival JtE-4 : If you only attend JtE-4, you will be expected to arrive in Luxor by April 17th in order to meet everyone in Luxor in time for classes. The cost of the night of the 16th is included in your price if you arrive a day early. Departure JtE-4: JtE-4 finishes the morning of April 27th when we arrive into Cairo on the sleeper train. We will be going to the Novotel Cairo Airport to await our flights. If your flight is leaving on April 28th and you wish to book the night at the hotel, you must do so personally before arriving in Cairo. If you will be staying in Egypt longer we are happy to drop you off at your accommodations for the rest of your stay upon our return to Cairo, but you MUST return to Cairo with us. All lodging from 04/9 – 04/16 (JtE-3) and 04/17 - 04/27 (JtE-4). All nights before or after are the attendee’s responsibility. All JtE Dance Classes, events, and tours. Events are listed above, but you can also click here to see a potential calendar view of events. All transportation to and from any JtE Events upon arrival in Egypt. Any free time activities & transportation to/from, though we’re happy to arrange transportation for you. Travel insurance is required for both levels of the tour, however you are responsible for obtaining your own. Once you register we're happy to send over our recommendations. Register below for JtE-4 or sign up to be notified if any spots open up for this tour or to be notified about our next tour! You have to pay the entire amount by February 15th, 2019. You have to notify us of what your payment schedule is going to be. You may pay the remainder of the balance by check or Paypal. If you are not located in the United States, we can provide the information for a wire transfer as well. Plans change, we get it. If you have to cancel your participation in the tour you will receive a refund minus your deposit. Deposits are non-refundable. Deposits can be transferred to other attendees up until January 1st, 2019. After which they are non-transferable. You, or your loved ones, may have some reservations about visiting Egypt at this time. 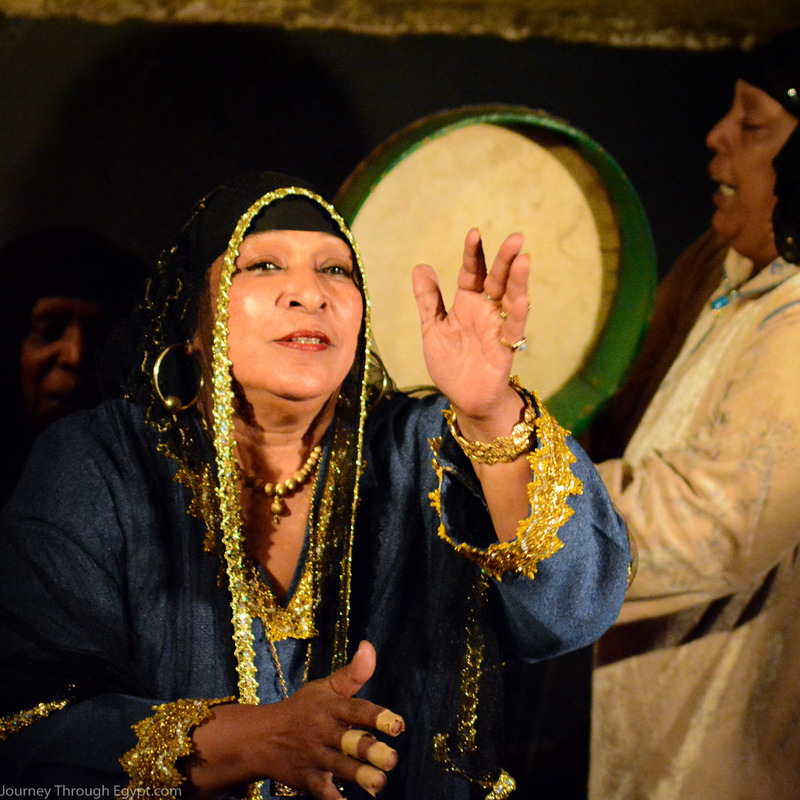 Sahra has been dancing, researching, and making friends in Egypt for the past 30 years. While we’re on the tour she is always calling ahead and talking to the locals. If anything is going on, She’ll know about it, and avoid any potential situations before they happen. Safety is #1 always on the tour, as it should be! Our contacts on the ground in Egypt are locals, and very aware of what is going on at any given time because they live & work in the neighborhoods we’ll be in. They’re great people to talk to and can provide a ton of insight into the people and culture of Egypt! I did, because both times (both post-revolution), I felt perfectly safe and secure. Sahra has SO many reliable contacts in Egypt and has a good understanding of the situation "on the ground," and I knew she and her contacts would not knowingly lead any of us into a dangerous sitation. If you have any questions or concerns, feel free to write in to info[at]JourneyThroughEgypt[dot]com and we’ll personally address them. 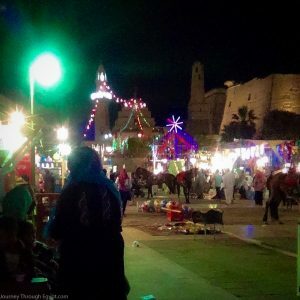 We want you to feel as safe as Sahra does when traveling in Egypt, and sometimes knowing how things actually are instead of the media’s portrayal will help with that confidence. 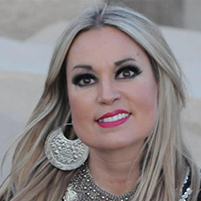 Remember, Sahra been traveling to Egypt twice a year for 30 years, and lived there for almost a decade. If it wasn’t safe, she wouldn’t keep going! As you’ll find is the way in Egypt, a lot of things cannot be confirmed until we are on the ground. Sahra arrives in Egypt at least 1 week prior to the start of JtE 3 & 4, and until that time the schedule cannot be guaranteed. There will be limited free time on the tour where you are more than welcome to schedule private lessons with local dancers, shop for costumes, or see sites that we will not be seeing as part of the events. However, this is an educational tour and you are expected to attend all events. We recommend if you're looking to do a lot of any of the above to arrive in Cairo a day or two early to do so. You are responsible for any extended stay reservations. You will recieve the contact information of our hotels during booking so that you make make any extra arrangements with them directly. Airport pickups happen on April 7th - 9th. Other arrival dates will need to make special arrangements from the airport. 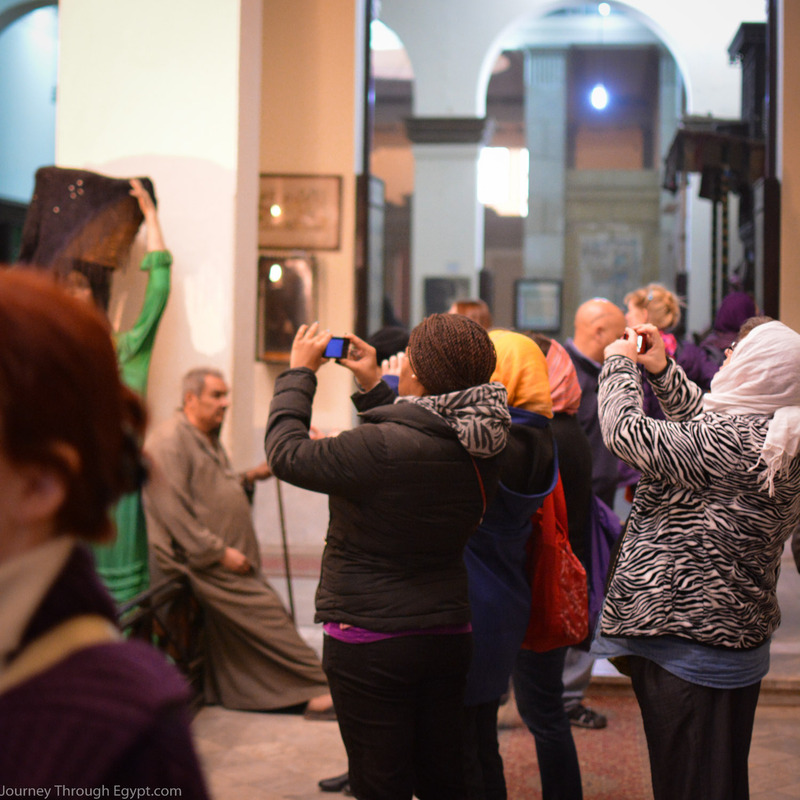 If you plan to arrive early, please email us at info@journeythroughegypt.com so that we can make a note! Below are some lists that include all the events we will be attending during each event. Dates will be solidified closer to the event, perhaps even as late as the week before when Sahra arrives in Egypt due to the nature of planning a tour of this kind in Egypt. If you are a US citizen you will get your visa upon arrival in Cairo. Instructions on how to do so will be sent out before your departure date. If you are joining us from a country other than the United States you will have to check your country's policies. This site can help to determine where to start. I'm really interested in taking classes from ______ dancer while I'm in Egypt, when can I schedule those? There are a couple of free periods worked into the schedule, but those times cannot be guaranteed until the tour has begun due to the way things tend to work in Egypt. We suggest if you have your heart set on taking classes from a particular dancer, or seeing a particular show, to arrive a day or two early to Cairo to explore and fit in some extra sightseeing. Can My Friend/Family member come with me? We are happy to allow accompanying friends and family to attend without the pre-requites of JTE 1 & 2 as long as they are not dancers. 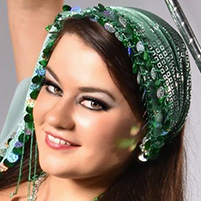 Bellydance friends must have completed the course to attend. You will be responsible for keeping them up to speed on some of the finer details they may have missed from the courses if you haven't already talked their ear off about them! They will be required to attend the pre-tour webinars to get an idea of the course basics to aid in their understanding and learning during the tour. What day should my flights arrive/depart? If you are attending JtE-3 or JtE 3 & 4 your flight must have arrived by the end of the day on April 9th though you are welcome to arrive a couple of days early to do some extra sightseeing. If you are only attending only JtE-3 your flight may leave anytime after the morning of the 16th of April. If you are only attending JtE-4 your flight must arrive by the early morning of the 17th in Luxor. For those of you attending ONLY JtE-4 your flight may leave anytime after the afternoon of the 26th from the Luxor airport. For those of you attending JtE 3 & 4 you MUST return to Cairo with us and your flight may leave anytime after the afternoon of the 27th of April from the airport in Cairo. Are JtE 1 & 2 Required? JtE 1 & 2 are non-negotiable requirements for attendance of JTE 3 & 4. JtE 3 is a requirement for attendance of JtE -4. Not interested in April? Join our waitlist to hear about our next tour! Members of the JtE Dance Archive get first dibs on tickets, but you'll be the second to know if you sign up below!